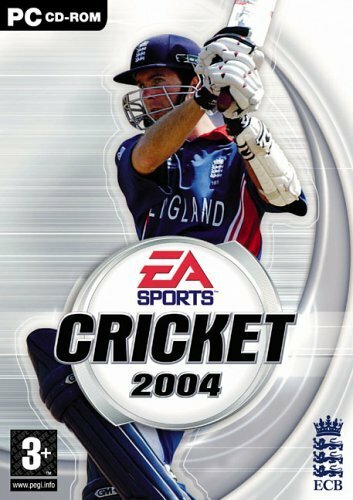 Cricket 2004 is a very impressive piece of code and it is nigh on impossible to come up with any real niggles about how the game plays or the presentation â?“ although some of the controls take some mastering before you start to become a real class act. Merely placing the ball when bowling on the critical spots takes some juggling around but once mastered you can further refine things and move on to a â??Warneâ?? level of competence but that will take a long time. The first big plus. Batting is instinctive, very similar to 2002, but when you are on the hard level, you realise how finely tuned the batting side is. You really need to have a good idea about your shots. So direction – WASD keys for shots (combo for 45 degree shots, cut, glance, on drive and cover drive) as per usual. “Leave” key and “advance” key. All I will say is that all of these have more animation and variations than 2002. In 2002 the number pad as shot selector, number pad 0 as “power” or “six hit” selector, and the arrow keys for back foot, front foot etc. 2004 won’t let you map to these, but it soon adapted to a different method. Full licenses from the PCB, ECB, NZ Cricket and the South African Cricket team. 61 accurately modelled stadium, including various pitch types and conditions, detailed real time weather effects, and night modes for Day/Night matches. Astonishingly high detail in the players’ faces and bodies, including varied player sizes. All new Motion Capture allowing improved player animations including form and injuries. Commentary by the legendary Richie Benaud, Jim Maxwell. Huge depth of game-play including domestic teams and tournaments. Simple and intuitive controls improving on the best features from previous cricket games. Huge 3D stadium sound effects based on real crowd sounds from all over the world.Crowd effects change to reflect peaks and troughs in the game. TV style game-play including TV overlays and a detailed replay feature allowing the player to view the action from an infinite number of camera angles. Full Player Editor allows players to change/create features of players throughout the game. Flexible play allows the player to be fully involved in the selection of batsmen and bowlers, the placing of fielders. Chose manual fielding, or simply let the intelligent AI position your fielders for you. 4 Player, (consoles), with 2 player co-operative play. Play razor folder in cricket2004.exe or copy to cricket 2004 folder.